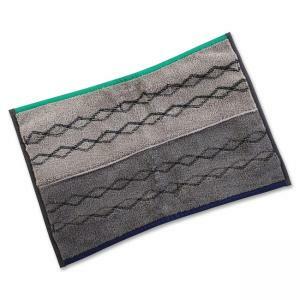 Wet/dry mopping pad is double-sided so you can get your dust and damp mopping done with one convenient tool when used with the Rubbermaid Pulse that is designed to clean more feet in less time. The Pulse combines industry-best microfiber, on-board reservoir, and user-controlled release of solution for more efficient cleaning and lower labor costs. This bleach-safe microfiber pad is durable up to 1000 launderings.